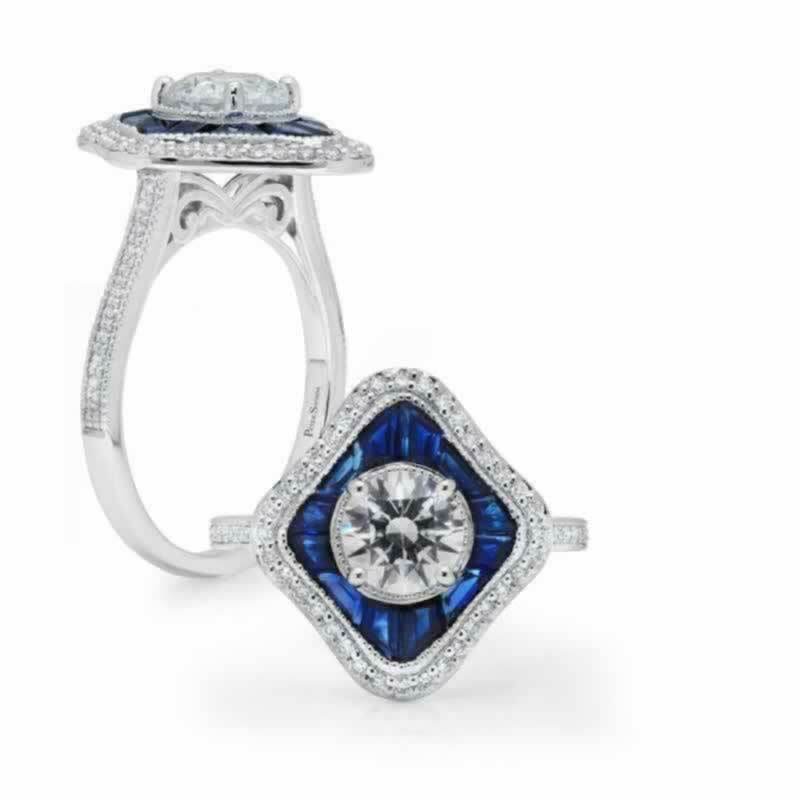 A elegant trapezoid shaped head is filled in with custom cut blue sapphires surrounding the center stone. White diamonds line the shank and create a soft halo. Accent details under the head is one of Peter's hallmarks.